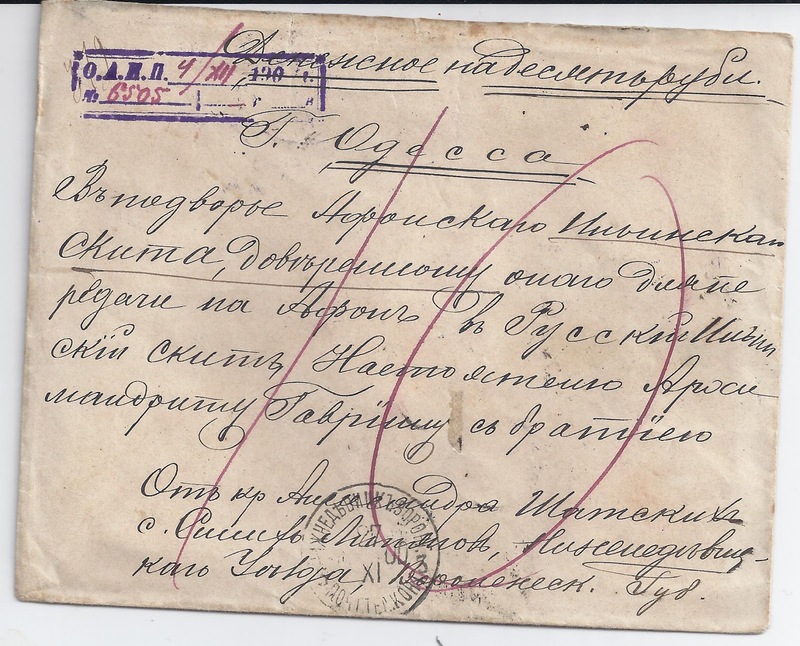 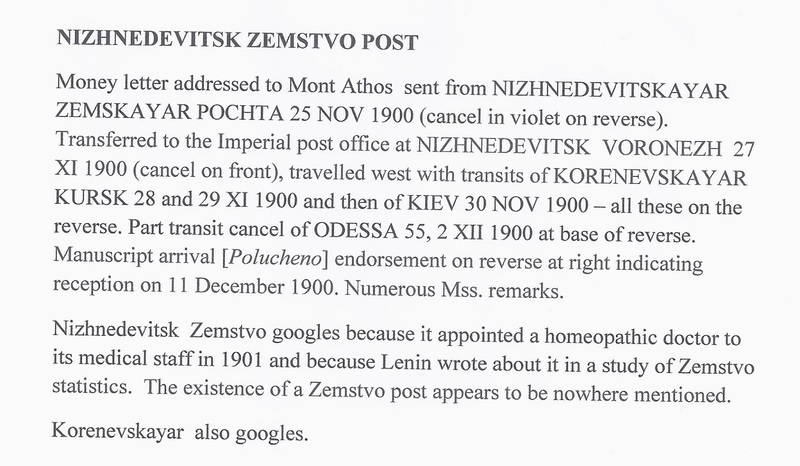 In recent years, Zemstvo collectors have become interested in those Zemstvos which did not issue stamps but which did run postal services, the evidence for which is found in cachets and cancellations. This is not an easy interest to pursue. 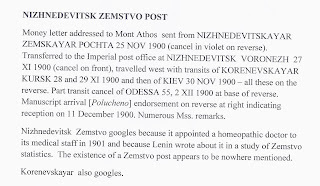 First, as far as I know, there is no Directory of Zemstvos which did run postal services - and some of them, presumably, for only a short period of time. 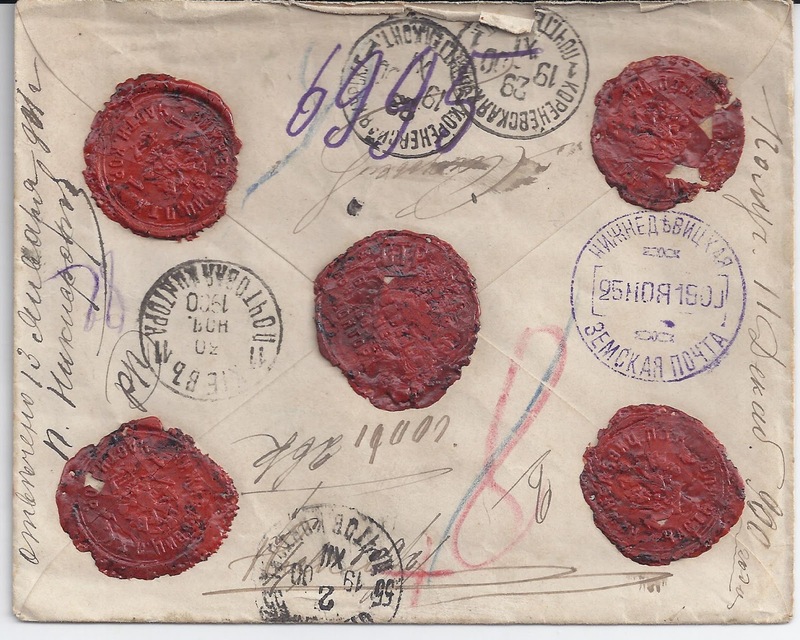 Second, forgers have been quick to spot an opportunity in this recent area of collecting interest - they add cachets and cancels of their own making to boring items of mail with vaguely relevant despatch or arrival points. 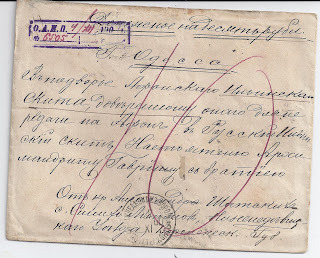 Like most forgers, these Zemstvo forgers make fairly obvious mistakes.